Few Orthodox are aware that just over 100 years ago hundreds of Orthodox Christians in China gave up their lives for Christ and His Holy Church, including the first Chinese Orthodox priest, St. Mitrophan of Beijing. The feast day for these Chinese martyrs is June 11th. Throughout the 19th century, Western nations kept forcing China to submit to humiliating trade agreements, while China resisted the unwanted foreign influence. In 1899 and 1900, in the so-called “Boxer Rebellion,” many Chinese rebelled against foreigners and foreign influence, blaming them for all their many problems and misfortunes. Christianity was considered “foreign” and thus sincere and devout Chinese Christians were targeted. On June 10, 1899, proclamations were posted all over Beijing, calling on Chinese to slaughter all Christians, and on June 11th China shone in glory as it offered up hundreds of martyrs for Christ. The leaders of this misguided Chinese uprising and those in whom Satan succeeded in arousing hatred for Christians, conducted processions through the streets of Beijing, carrying their pagan idols aloft. They went to the homes and churches of Christians, forcing the Chinese Christians to either burn incense to their idols, or be killed. Whereas some capitulated to save their lives, hundreds of others, whose faith was stronger, boldly confessed Christ. Of the approximately 1,000 Orthodox in Beijing, about one-forth of them were martyred at this time. Many of these martyrs were forcibly led out of the city to the temples of the idols, where, after brutal tortures, they were beheaded or burned to death. Included in those who received the crown of martyrdom at this time was the first Chinese Orthodox priest, St. Mitrophan Chi-Sung of Beijing. 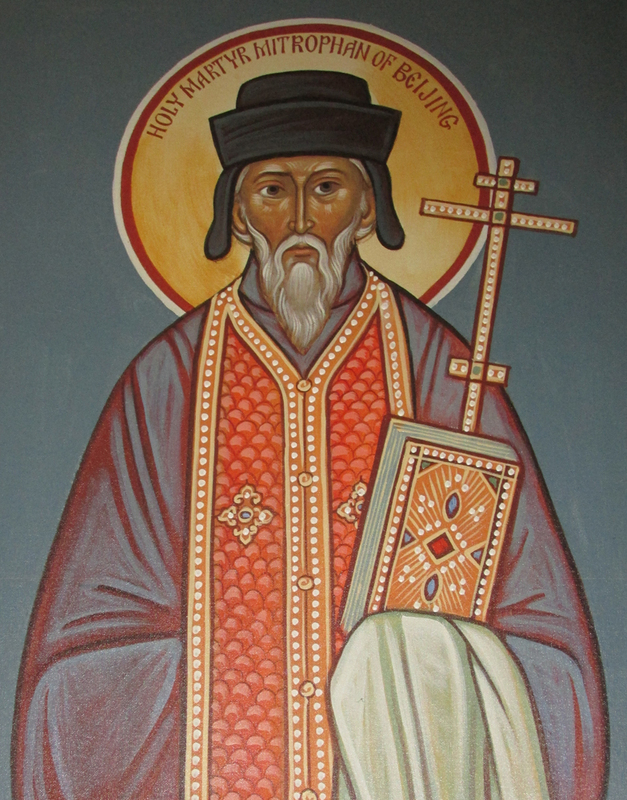 He had served as priest of the Orthodox mission in Beijing for fifteen years, having been ordained by St. Nicholas of Japan, the Russian Orthodox missionary who established the Orthodox Church in Japan and was its first bishop, and who in turn had been instructed and guided by St. Innocent, Russian Orthodox missionary to Alaska, and its first bishop. They were both continuing in the missionary tradition established by St. Innocent in Eastern Siberia, the first bishop of Irkutsk in the previous century.